Carpet is the softest flooring available. It provides a cushioned surface for your feet. The types of carpet available have some characteristics that are useful for a consumer to know. The information ensures that customers will get the style that is appropriate for the space in which it is to be installed. 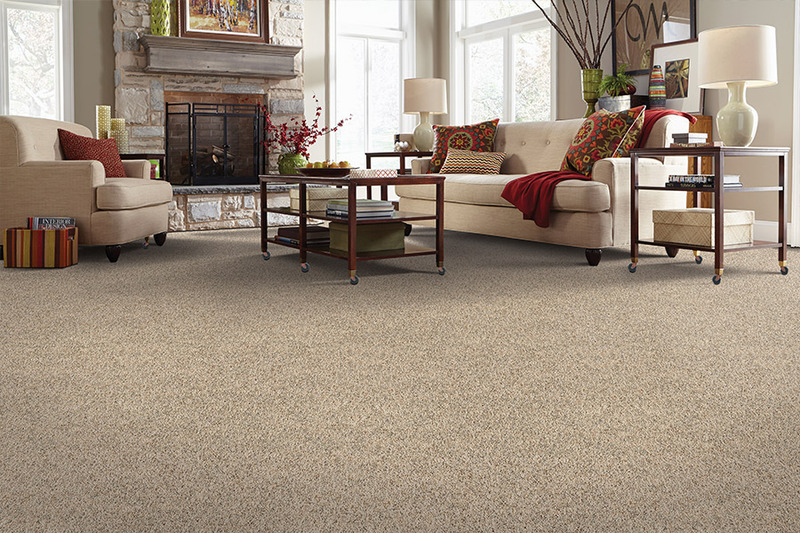 There is a variety of natural and synthetic fiber used to construct carpet. The four most common are listed here. 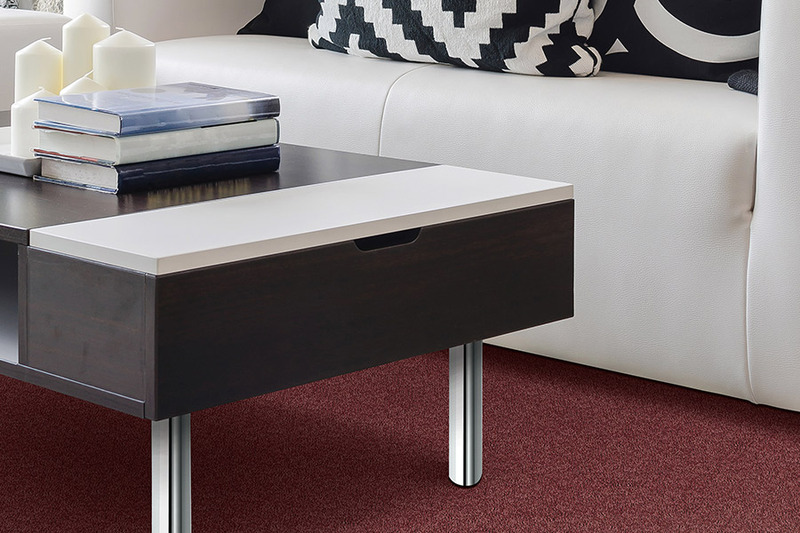 Nylon carpet – Nylon is durable, very soft, and resists stains. Nearly three-fourths of manufactured carpet is made of nylon. It is the most popular among consumers. Polyester carpet – Polyester fades very little over time and holds vibrant, bold colors. It is an eco-friendly fiber made from recycled plastic bottles. Polyester carpet is non-allergenic. It has a drawback in high traffic areas. The fibers are susceptible to being flattened. Polypropylene carpet – Polypropylene is an alternative to nylon. The incredibly resilient fibers resist shedding, mildew, and stains. 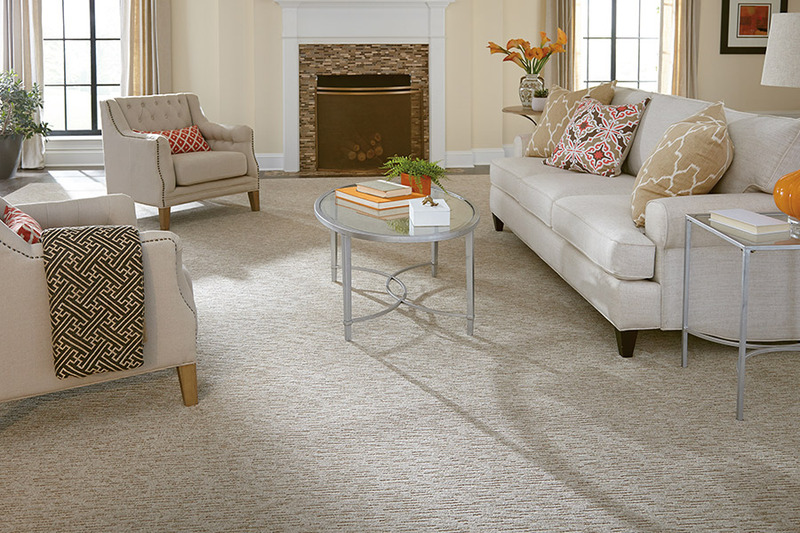 Wool carpet – Wool is a long-lasting, luxurious, and natural fiber that surpasses all others in softness. Unfortunately, low-grade wool can stain, and high-grade wool is expensive. Some manufacturers combine synthetic and wool fibers to offer the benefits of both. Similar to attaching a button to a piece of clothing, carpet is made by moving loops of yarn through backing material. The loops are either cut at various angles or left intact. The loop treatment is referred to as the pile of the carpet. 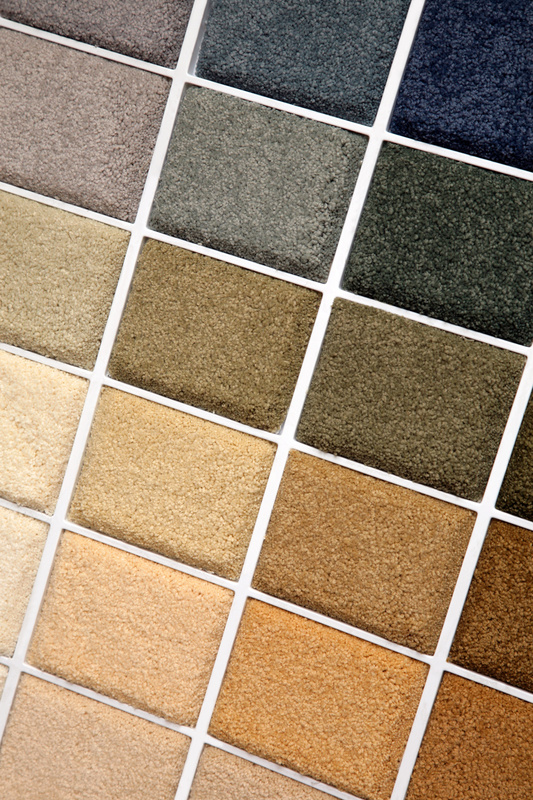 Here is a partial list of the most common types of carpet pile. 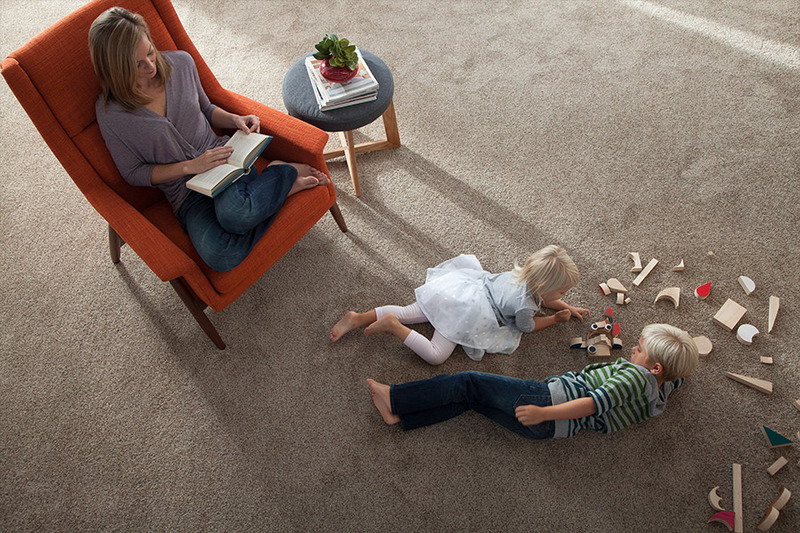 Uncut pile carpet – Carpet that does not have cut loops is called 'berber' or 'loop' pile. The loops stay intact on the surface. Uncut pile is ideal for high-traffic commercial applications. It is highly durable, resists stains, and is easy to clean. Vacuum marks and footprints do not show easily. 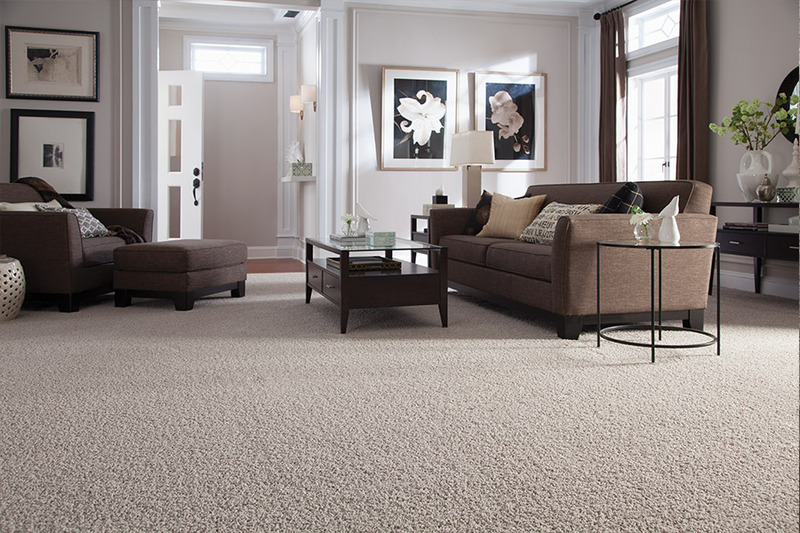 Cut pile carpet – This method produces pleasantly looking, very soft carpet that is easy to clean. The rigid nature of the fibers makes vacuum trails and foot marks easier to see. 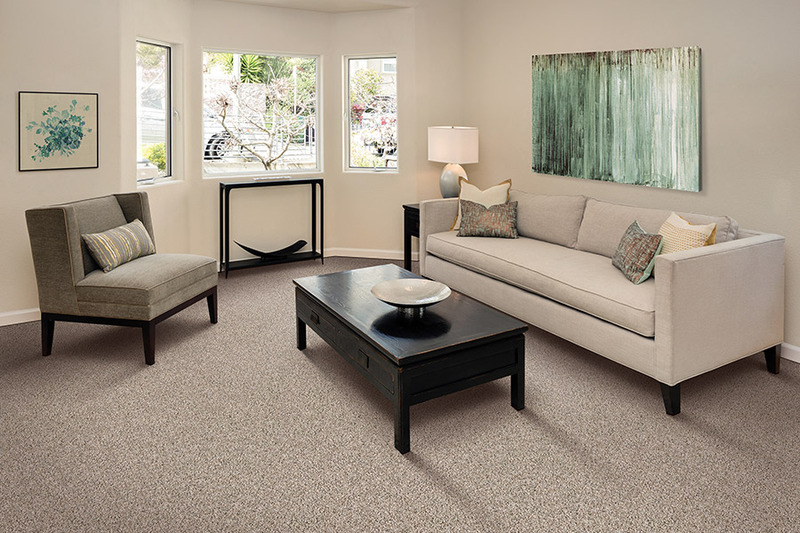 Our sales representatives will help choose the type of fiber and pile that suits the area you wish to carpet.